Tough day...partner completely melted down...this club was money all tournament...exactly what I was looking for! Free whats the difference between Lunar and Stella? I am currently using the Pentacrossweb U-8 stiff on my hybrid and which is more similar to it? 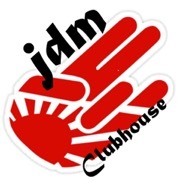 That looks like a really cool club. Roddio makes good stuff. That’s my next stick to purchase!! What shaft are you getting Dale?